'Partly an enjoyable survey of exciting new developments in systems biology, valuable to any student of biology or science, and partly a bold blueprint for how we might preserve our future on Earth.' New Scientist 'A magisterial study of the scientific basis for an integrated worldview grounded in the wholeness that generations of one-eyed reductionists could not see. The authors succeed brilliantly!' David W. Orr, Oberlin College '... gives us a sound synthesis of the best science and theory on the connectedness of all living things, the dynamics of emergence and self-organization as conceived by Francisco Varela. This volume offers a profound framework for understanding our place on the planet, for better or worse. And if we apply the insights offered by Capra and Luisi, it will be for the better ... should be required reading for today's young, tomorrow's leaders, and anyone who cares about life on this planet.' Daniel Goleman, author of Emotional Intelligence and Ecological Intelligence 'What is life? What is a human being? How can new discoveries about nature and ourselves keep us from becoming the first self-endangered species? Capra and Luisi's dazzling synthesis explains how moving beyond mechanistic, linear, reductionist habits is revealing startling new answers to perennial questions of philosophy and practice. Sir Francis Bacon's goal of 'the enlargement of the bounds of Human Empire, to the effecting of all things possible' has put humanity in serious trouble. But today, rebuilding our thinking, language, and actions around Darwin, not Descartes, and around modern biology, not outmoded physics, creates rich new options. Driven by the co-evolution of business with civil society, these can build a fairer, healthier, cooler, safer world. The Systems View of Life is a lucid, wide-ranging guide to living maturely, kindly, and durably with each other and with other beings on the only home we have.' Amory B. Lovins, Rocky Mountain Institute '... this book feels like a Rosetta stone for me, unlocking connections and roots of a panoply of different ideas and concepts. It starts walking us through the history of science - and how scientific models influenced most aspect of cultures ... This book pulls the big changes together and integrates them, across disciplines into a glorious big picture, for each field ... As I was reading the portion of the book covering the history of systems thinking ... I realized that I was suddenly feeling very excited, like I was in a movie, sitting on the edge of my seat ... This is what a great writer and a great book are supposed to do ... It has had a huge impact on my way of thinking about so many things. It doesn't matter what your area of work or interest is. This book is essential reading to face the future with eyes wide open.' Rob Kall, OpEdNews.com '... a valuable overview of the discipline.' Stephen Lewis, The Biologist 'What a fine, erudite, synoptic, lovely book!' Stuart Kauffman, University of Pennsylvania and the Institute for Systems Biology, Seattle "Partly an enjoyable survey of exciting new developments in systems biology, valuable to any student of biology or science, and partly a bold blueprint for how we might preserve our future on Earth." New Scientist "A magisterial study of the scientific basis for an integrated worldview grounded in the wholeness that generations of one-eyed reductionists could not see. The authors succeed brilliantly!" David W. Orr, Oberlin College "... gives us a sound synthesis of the best science and theory on the connectedness of all living things, the dynamics of emergence and self-organization as conceived by Francisco Varela. This volume offers a profound framework for understanding our place on the planet, for better or worse. And if we apply the insights offered by Capra and Luisi, it will be for the better ... should be required reading for today's young, tomorrow's leaders, and anyone who cares about life on this planet." Daniel Goleman, author of Emotional Intelligence and Ecological Intelligence "What is life? What is a human being? How can new discoveries about nature and ourselves keep us from becoming the first self-endangered species? Capra and Luisi's dazzling synthesis explains how moving beyond mechanistic, linear, reductionist habits is revealing startling new answers to perennial questions of philosophy and practice. Sir Francis Bacon's goal of 'the enlargement of the bounds of Human Empire, to the effecting of all things possible' has put humanity in serious trouble. But today, rebuilding our thinking, language, and actions around Darwin, not Descartes, and around modern biology, not outmoded physics, creates rich new options. Driven by the co-evolution of business with civil society, these can build a fairer, healthier, cooler, safer world. The Systems View of Life is a lucid, wide-ranging guide to living maturely, kindly, and durably with each other and with other beings on the only home we have." Amory B. Lovins, Rocky Mountain Institute "... this book feels like a Rosetta stone for me, unlocking connections and roots of a panoply of different ideas and concepts. It starts walking us through the history of science - and how scientific models influenced most aspect of cultures ... 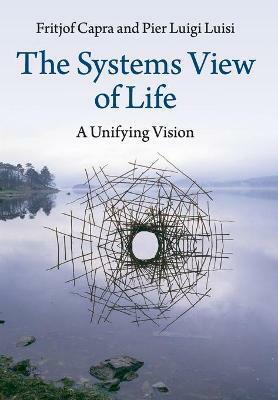 This book pulls the big changes together and integrates them, across disciplines into a glorious big picture, for each field ... As I was reading the portion of the book covering the history of systems thinking ... I realized that I was suddenly feeling very excited, like I was in a movie, sitting on the edge of my seat ... This is what a great writer and a great book are supposed to do ... It has had a huge impact on my way of thinking about so many things. It doesn't matter what your area of work or interest is. This book is essential reading to face the future with eyes wide open." Rob Kall, OpEdNews.com "... a valuable overview of the discipline."